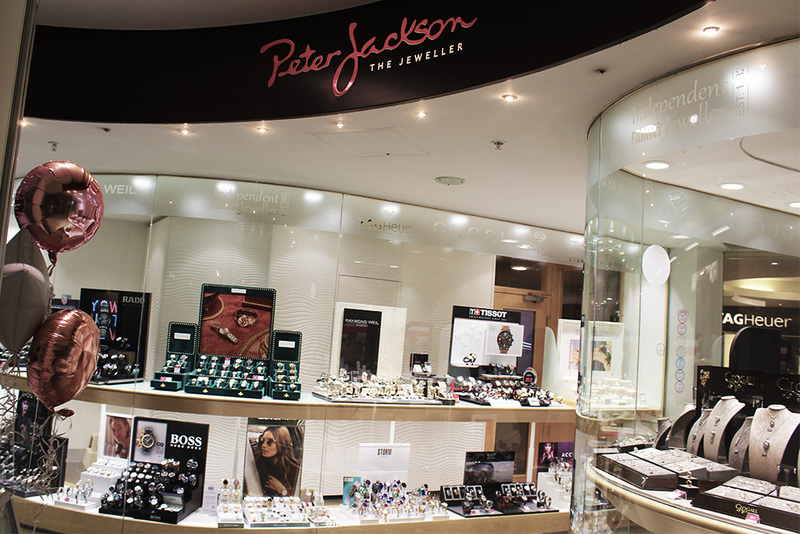 On Wednesday evening I had the pleasure of attending a Blogger Event at Peter Jackson The Jewellers in Preston. It was my first event since having Eve so I was very apprehensive about leaving her for the night as I’ve never left her to go anywhere completely by myself! In no way did I think she wouldn’t be fine but it was more me struggling with the fact that I would be a whole train journey away from her when we’ve been in our little bubble and only ever down the road away from each other a few times in the last three months. But it was good for me to be a little bit selfish and do something for myself, even for just a couple of hours! I was both excited and nervous for the event as I didn’t think that I knew anyone who was going but on the day I realised that Gem (who I’ve been following on Instagram for a couple of years) was attending so we arranged to meet up at the train station and go together. I was so glad that I had someone to accompany me and we had such a lovely evening together! The event was planned by Every1 PR and the evening involved complete access to the jewellery store and lots of different activities. I met so many lovely people from bloggers, to the staff working at the event and even Peter Jackson himself was there! It was so nice to meet Peters team of staff and they all seemed to enjoy the event as much as we did. 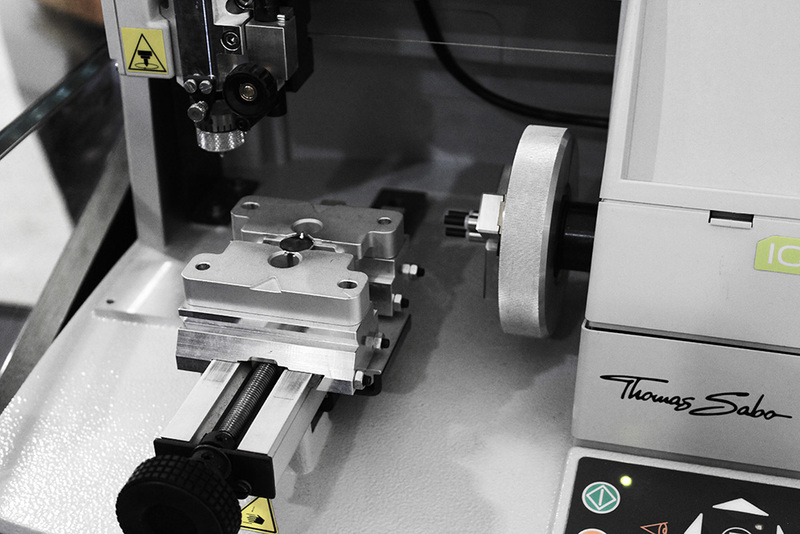 It was the first time that the company had done anything like it and it was great to have been a part of it. The staff were all so passionate about what they did and the majority of the women I spoke to on the night had worked for Peter for over 20 years and loved coming to work every day. 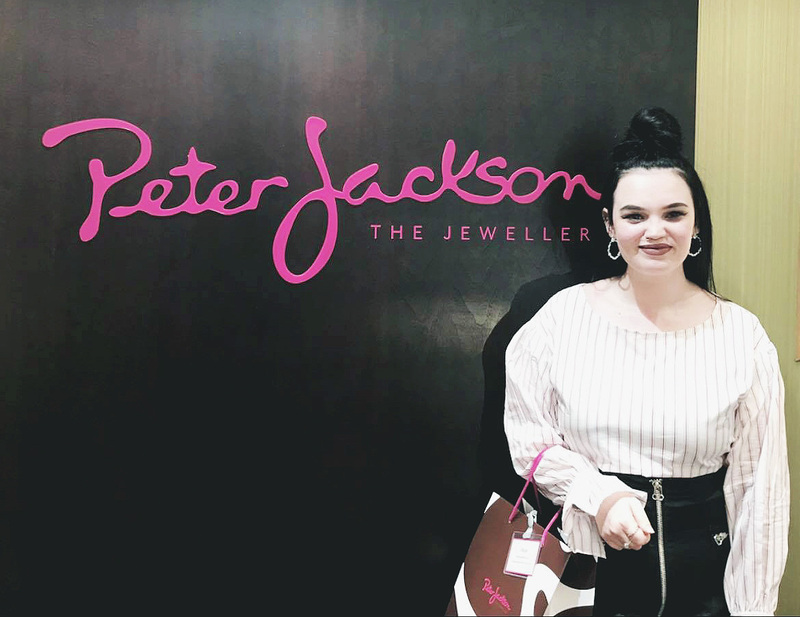 Jewellery can be such an expensive purchase and a very important one so meeting the women behind the counter really gave me the confidence that they knew exactly what they were talking about. It’s so important to find a team of jewellers to help you make decisions when buying treasured pieces and I’m confident that I’ll be returning in the future. There were a variety of different stations set up for us to explore, from guessing the names of gemstones and guessing the price of precious jewels in order to win prizes. We even had the chance to mine for our own diamonds and learnt all about how all of the companies diamonds are sourced and cut. And as we had the entire store to ourselves we could try on any of the pieces that we wanted to, even the £80,000 rare diamond rings that were locked away! One of my favourite stations was the complimentary jewellery cleaning. 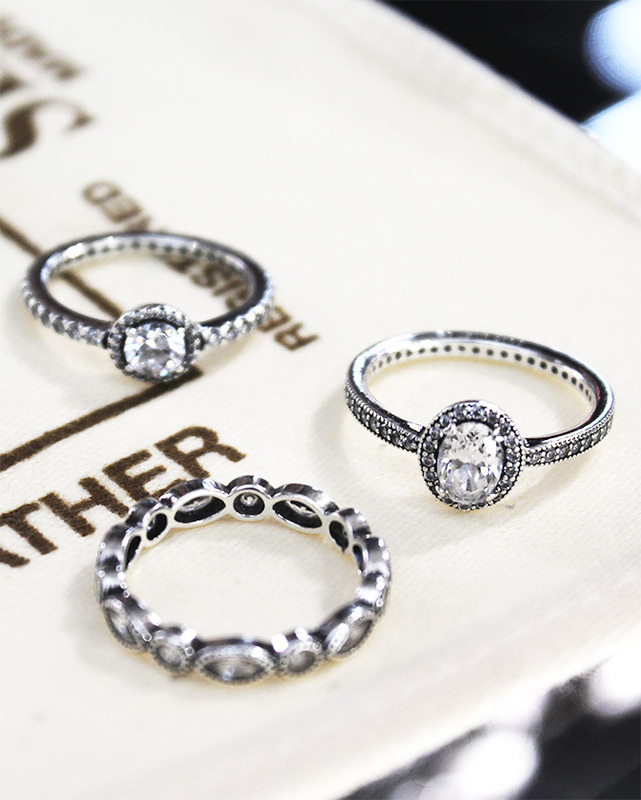 I had no idea how dirty my Pandora rings had gotten over the last couple of years and now they literally look brand new. It was a great way to learn tips about upkeeping the quality of my jewellery at home and we were given special cleaning equipment to take away with us. The evening was filled with so many treats from start to finish! I sipped on complimentary Champagne and my glass was never empty, I also took advantage of the gorgeous food provided by BiteClub and had to refrain from shoving 10 miniature pizzas in my mouth all at once. All of the bloggers that attended received a gift bag containing a few little treats as a thank-you for coming along to the event. We were gifted a silver Thomas Sabo linked charm bracelet and a silver charm that could be personally engraved. It was such a beautiful gift and I felt very lucky to have been selected to attend and receive it! 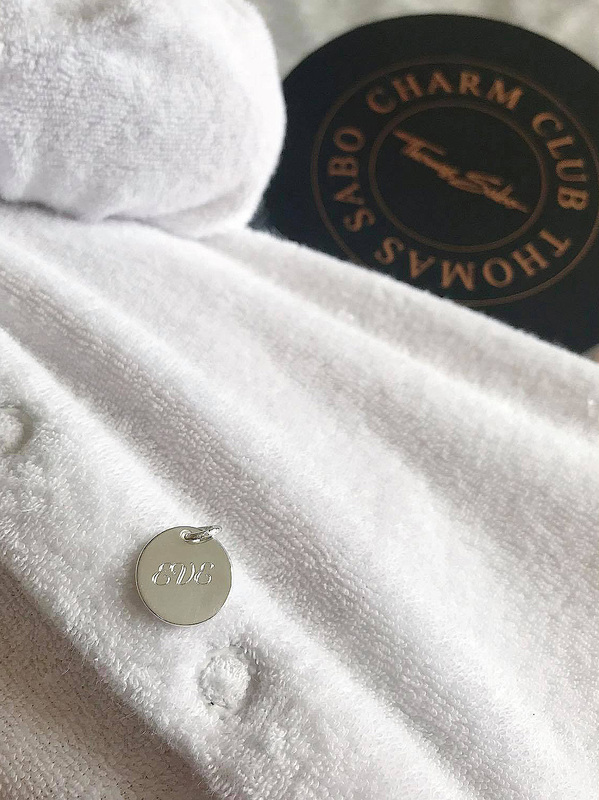 Our final activity before we went home was having our complimentary Thomas Sabo charms personalised at the engraving station. 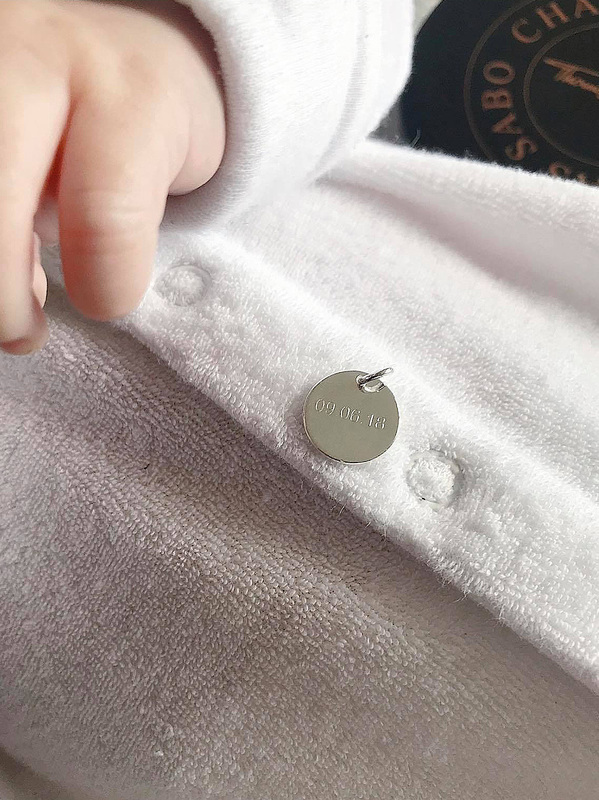 There were options of up to 3 characters, a date or a range of different symbols, the charms are double sided and both sides can be personalised. I had no idea that I would have to make such a quick decision so I decided to get Evangeline’s shortened name on one side and her date of birth on the other. 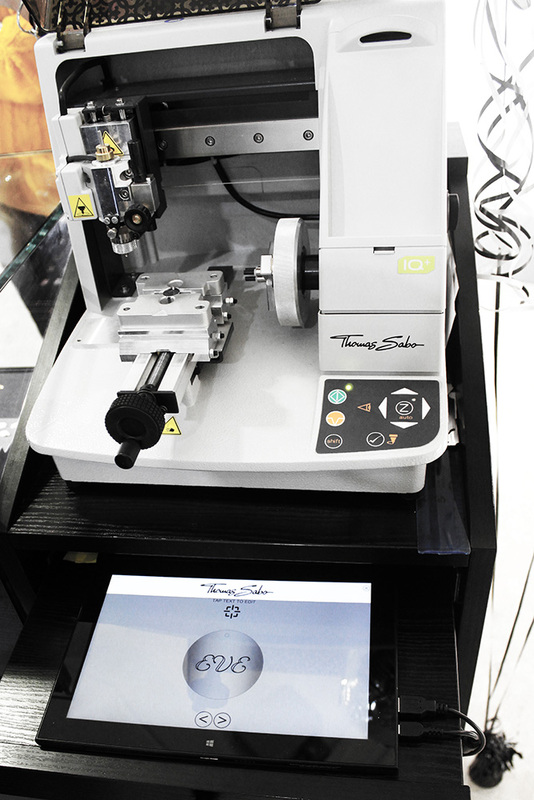 There were a range of different fonts to choose from if you went for characters and the engraving process was literally done in seconds! I was so grateful to have such a beautiful keepsake to take away with me and for the opportunity to attend the event. This bracelet is going to be such a treasured possession of mine and will mean that I can have a piece of Eve with me everywhere I go! I’m really excited to stay in touch with the brand and hopefully do something again with them in the near future. Peter Jackson kindly gave me a discount code for my followers and readers to use to shop and receive 15% off all full price pieces so take advantage while you can! If you’re looking for some early inspiration for Christmas gifts or simply want to spoil yourself then check out the website to see what they have to offer and simply quote APOTTER18 when you checkout. 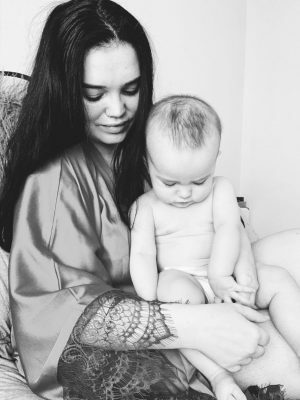 "FASHION WEEK FAVOURITES – NEW YORK – RODARTE – READY TO WEAR – SPRING/SUMMER 2019"
"BEING PREGNANT WITH CERVICAL ECTROPION – MY FINAL TRIMESTER AND BIRTH STORY"